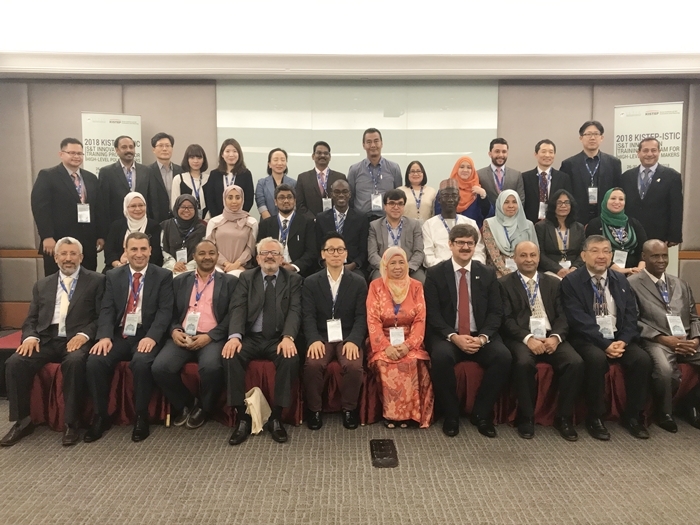 KISTEP held a training program to share Korean science, technology, and innovation (STI) policy system, and experiences with developing countries from Asia and Africa. 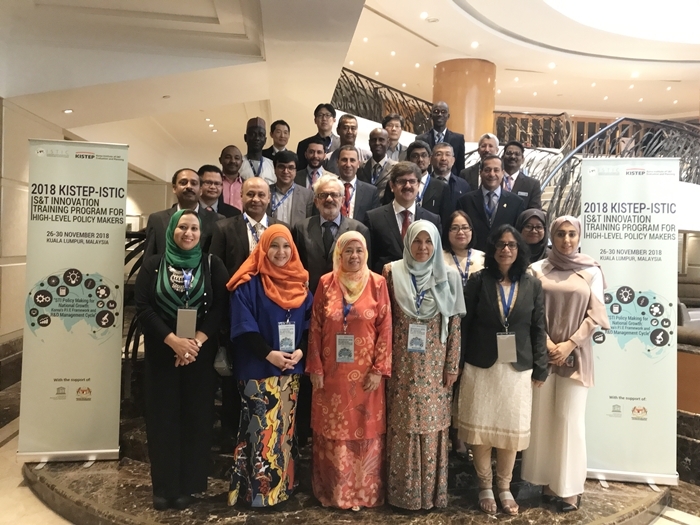 The 10th KISTEP-ISTIC STI Training Program, co-hosted with International Science, Technology and Innovation Centre (ISTIC) for South-South Cooperation under the Auspices of UNESCO, was held for 5 days from November 26th(Mon) to 30th(Fri) in Kuala Lumpur, Malaysia. Twenty four high level policy makers in S&T area of 13 countries such as Asia (the Philippines and Pakistan), Africa (Nigeria, Oman, Qatar, and Senegal), and the Middle East (Iran, Jordan) participated the program that includes △ special lectures of the experts on Korean R&D planning, coordination, and evaluation system related to the science and technology basic plan, technology foresight, R&D program evaluation system, and innovation capacity △ visiting S&T research institutes and innovative companies △ group discussion. The programs of this year provide lectures and case studies in regard to S&T policy making, planning, evaluation, and research methodology which help developing countries to understand the whole procedure of national S&T policy. And the program has become customized by including new curriculum of institutes evaluation and fostering start-up ecosystem to meet participants’ need. President Sang-seon Kim (KISTEP) said, it is crucial to establish S&T cooperation within international society. By sharing Korea’s STI system and past development knowledge and experiences, we hope this program could be the stepping stone for developing countries’ high-level policy makers to establish STI system in their countries. Also, we hope to strengthen cooperation by promoting joint projects. KISTEP-ISTIC S&T Innovation Training Program has started from the year of 2009, and reached 10th anniversary this year. The program has provided the opportunity for a total of 210 high level policy makers of ISTIC’s 60 member countries from Asia, Africa, Central and South America to learn Korea’s S&T innovation policy system which has led Korea’s growth.